Posted By Edward, 27th Jan 2017. 3 Minute Read. Ever since the 1950's, Scandinavian inspired design has been ever growing in popularity in the UK and around the world. This Scandinavian design movement has found its way into every room in the house, none more so than in the bathroom. It’s fair to say that the popularity of Scandinavian bathrooms has exploded in the UK in 2016! In this Victorian Plumbing guide we look at the individual design features that give a Scandinavian bathroom its own unique style. We will also reveal the Victorian Plumbing bathroom suites and products that will help you get the look associated with each design feature. Whether you're looking to achieve the complete look or just want to incorporate a clever feature of the style, our guide can hopefully give you plenty of Scandinavian bathrooms ideas and inspiration. Minimalist design is the most instantly recognizable feature of any Scandinavian bathroom. 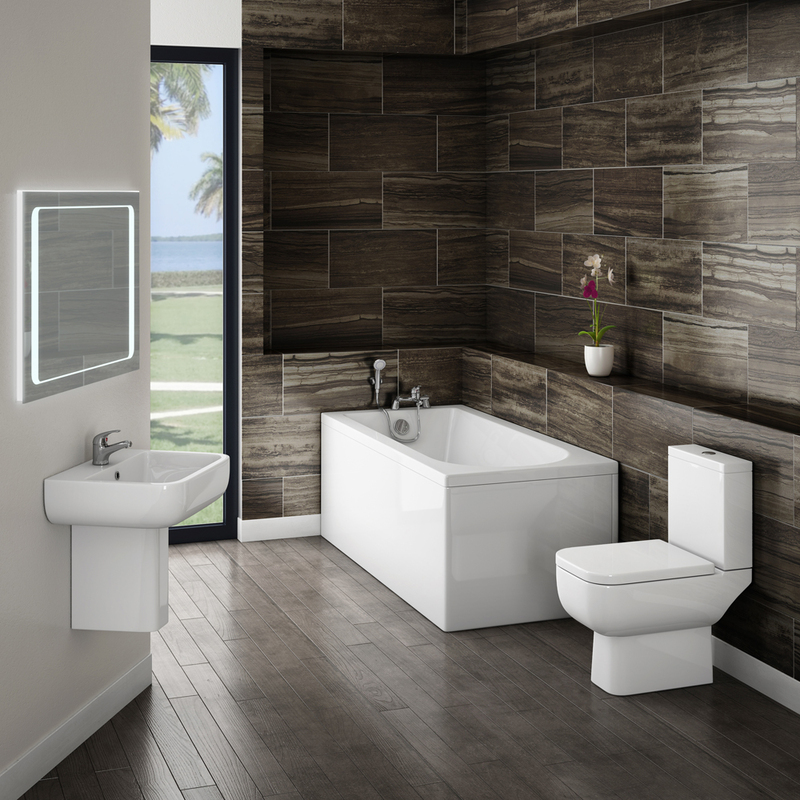 The clean lines, smooth edges and a simple but functional layout are 3 things at the heart of every minimalist bathroom design. 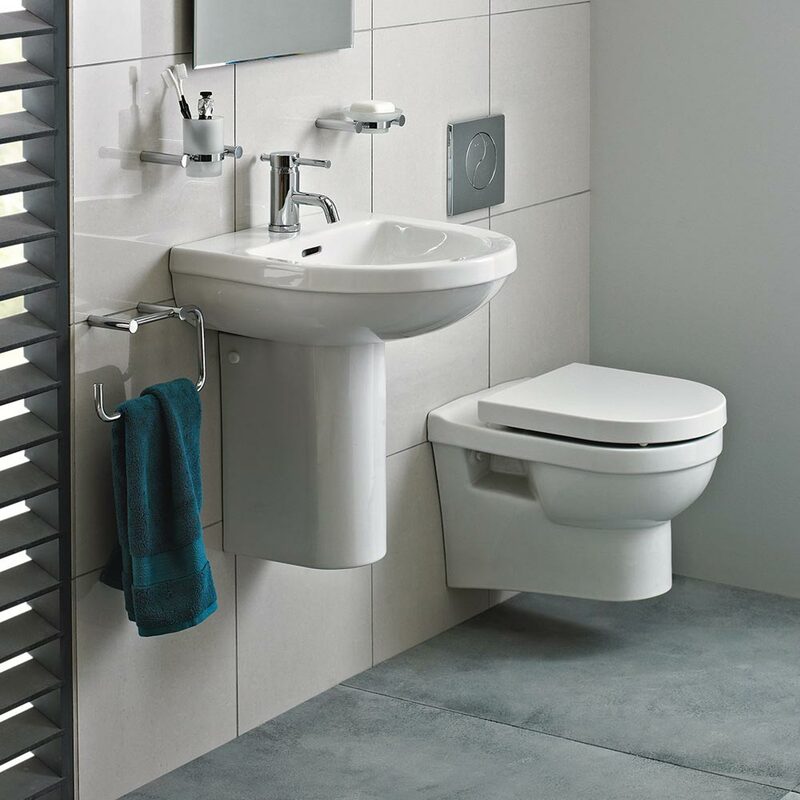 A simple way to achieve the minimalist look is to choose white bathroom fixtures and fittings. Victorian Plumbing has a multitude of white toilets, basins and baths available either individually or as complete bathroom suites. 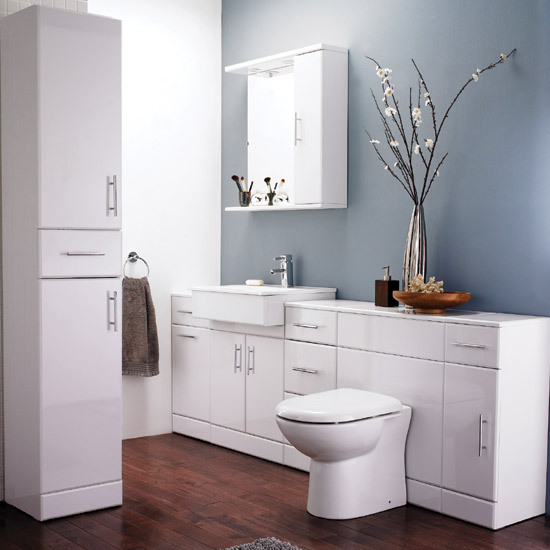 For white bathroom furniture, including vanity units and wall hung storage, I would recommend the Alaska and Nova bathroom furniture ranges. 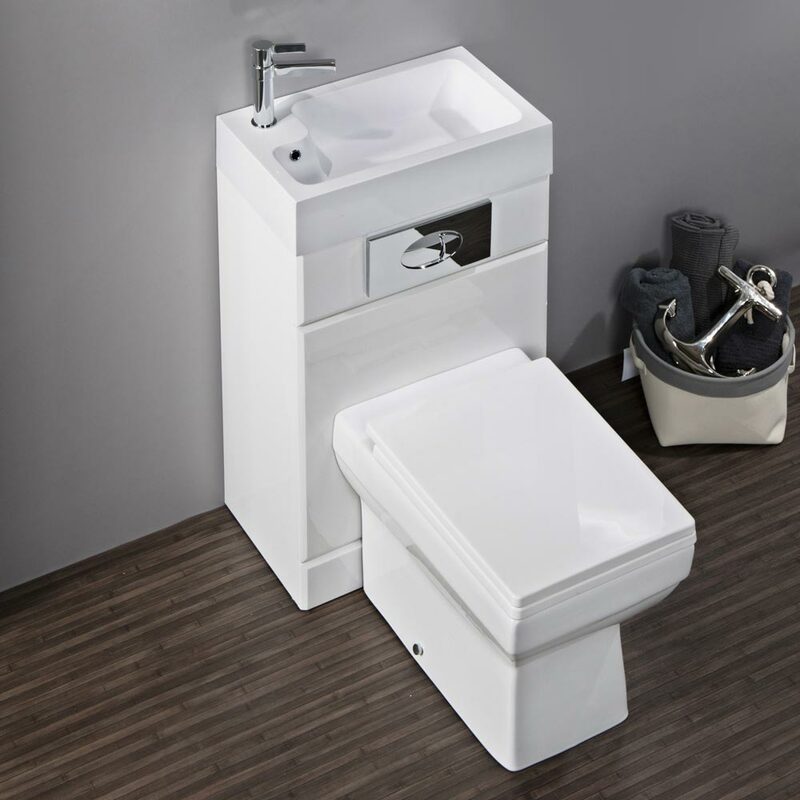 Both ranges include a comprehensive selection of white bathroom furniture that’s really competitively priced, you’re sure to find something that’s perfect for your minimalist bathroom design. The popular colours for Scandinavian styled bathrooms are white, grey, cream and of course pale blue. These popular colours create a very calm, muted feel in the bathroom. 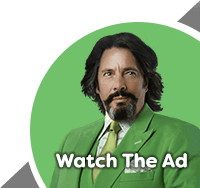 Another increasingly popular design feature is to use a small splash of bold colour. A great way to achieve this addition of colour is through the accessories you choose for your bathroom. Cleverly colour coordinated bathroom sets, towels and vases can make a beautiful show of your individual style: especially when set against the calm, muted background of a Scandinavian styled bathroom. Carpet is a material you will never see in a Scandinavian styled bathroom; hard wood, stone or imitation laminate are the best materials that give this bathroom style its beautiful hard floors. The best colours to choose are white, creams and light greys. Recommended wood types include birch or pine. White wood floors, either real wood or laminate, are particularly good at opening up the space in the bathroom. Scandinavians have always embraced fresh new eco-ideas in the bathroom. Being British, we've always embraced ideas that will save us money. Alas, now the two are one and the same! Modern water saving taps and water saving showers are beneficial to the environment and they’re also a bit kinder to your wallet! There is another type of eco-bathroom product that's becoming increasingly popular in 2016. Combined wash basin and toilets place the wash basin directly on top of the WC pan. 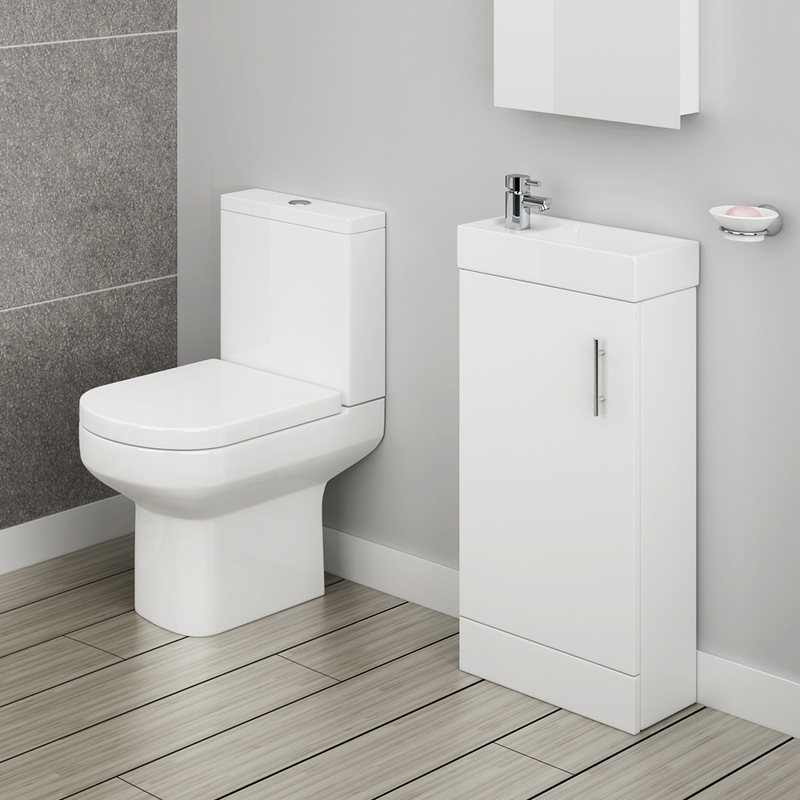 These combined units could provide the perfect eco-solution for a Scandinavian styled cloakroom bathroom or ensuite. Scandinavians bathrooms make the most of every last ray of sunshine. Winter time in Scandinavia are long and dark so their design style has reacted to this seasonal darkening by making the most of natural light. Large windows, large bathroom mirrors and reflective surfaces like ceramic tiles are the key to making the most of light in the bathroom. Wall hung fixtures / bathroom features are a 2016 bathroom trend all on their own, however Scandinavian style bathrooms have definitely embraced the idea of wall hung bathroom fixtures. 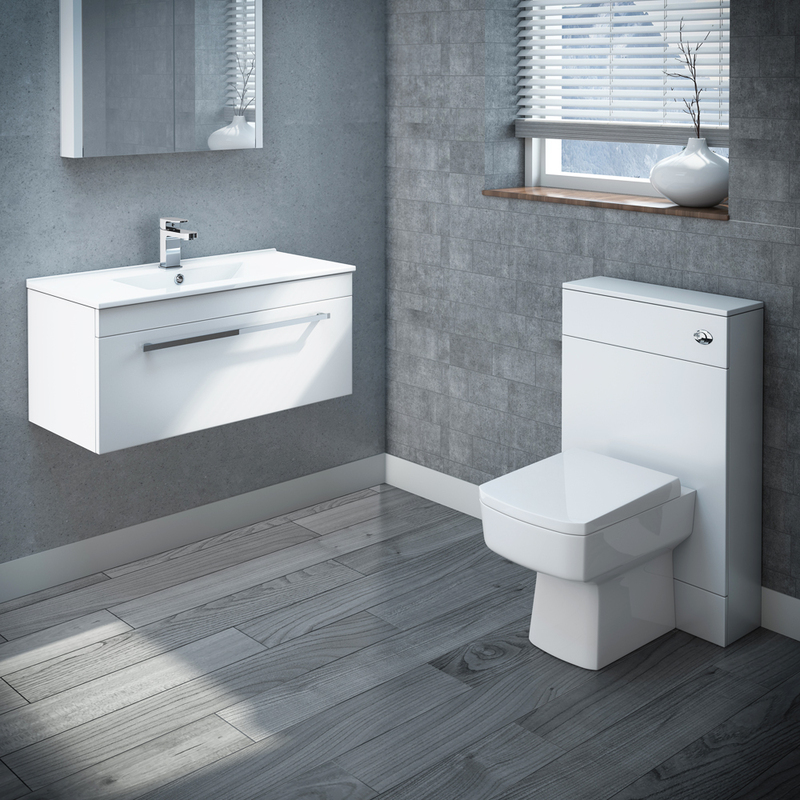 Whether you choose to hang all your bathroom fixtures off the wall or maybe just the vanity unit or toilet; wall hung units are a fantastic way of opening up the space on the floor of your bathroom. Also, consider this, how much easier would it be to clean a bathroom floor that has no units sat on it? Adding natural woods to your bathroom design is a fantastic way of inviting nature into your bathroom; including natural products in the home is a big part of the Scandinavian design movement. 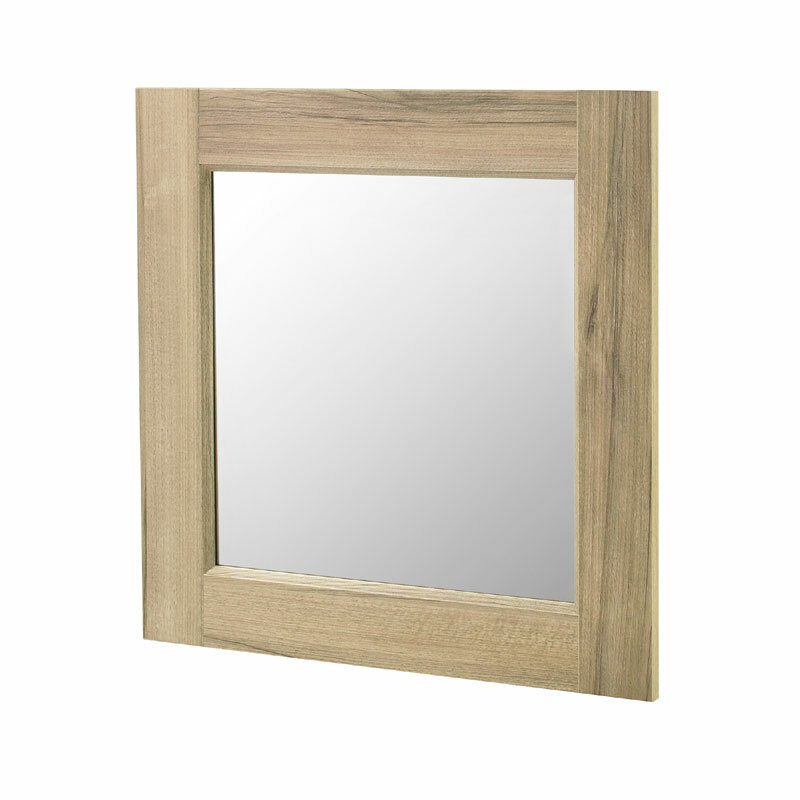 Why not consider a colour coordinated wooden bathroom mirror or natural wood bathroom accessories as the finishing touch to your bathroom design? For a little more information on incorporating woods in your bathroom design, why not check out our hugely popular article on the trend of using woods in the bathroom. I hope you have enjoyed reading our expert Scandinavian bathrooms buying guide. Hopefully, you are now armed with lots of ideas, inspiration and products which you can use in your own bathroom design. Which features of this design trend do you like the most? Is there a bathroom trend you would like to see us cover in the future? Please let us know by commenting in the comments section below, we love to hear your feedback. Thanks for reading.